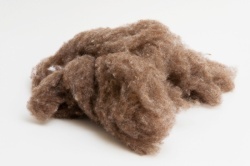 Our goats are bred specifically to produce fine fibre. We can supply this in forms to suit all your craft needs. 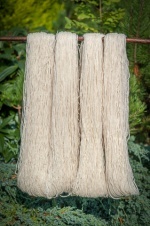 Raw mohair,opened and washed. 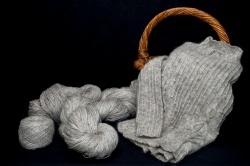 Carded blends of Mohair and merino or dyed pure mohair that has been opened. 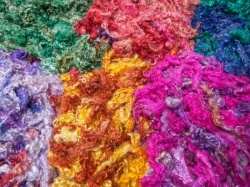 Our bags of dyed mohair are mixed colours,if you require specific shades please telephone us. 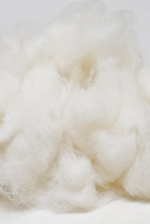 These are ideal for craft projects, to spin or felt or even blend with your own fibres. 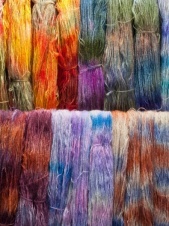 They also work well to add texture in embroidery or for embellishing. 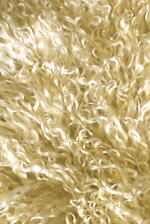 £ 12.00 Painted Kid Mohair D.K.